Stranger: How do you do? Old Man: I do as I please. Stranger: How long have you been living here? Old Man: Do you see that mountain thar? Well, that was thar when I come here. Stranger: Can I stay here tonight? Old Man: No, ye can’t stay here. Stranger: How long will it take me to get to the next tavern? Old Man: Well you’ll not get thar at all, if you stand that foolin’ with me all night! Stranger: Well, how far do you call it to the next tavern? Old Man: I reckon it’s upwards of some distance! Stranger: I am very dry – do you keep any spirts in your house? Old Man: Do you think my house is haunted? They say there’s plenty down in the graveyard. Stranger: How do they cross the river ahead? Old Man: The ducks swim across. Stranger: How far is it to the forks in the road? Old Man: I’ve been livin’ here nigh on 20 years and no road ain’t forked yit. Stranger: Give me some satisfaction, if you please, sir. Where does this road go to? Old Man: Well, it hain’t moved a step since I’ve been here. Stranger: Why don’t you cover you house. It’s raining. Old Man: ’cause it don’t leak. Stranger: Why don’t you play the second part of that tune? (Stranger plays the second part of the tune). Old Man: Git over the fence, and come in here and sit down. I didn’t know you could play. You can board here, if you want to. Kick that dog off that stool, and sit down and play it over – I want to hear it again. (Stranger plays the second part again). Old Man: Our supper is ready now. Won’t you have some with us. Old Man: What you take, tea or coffee? Old Man: Sall, git the grubbin-hoe, and go dig some sassafras, quick! Stranger: (to little boy) Bub, give me a knife and fork, if you please. Boy: We hain’t got no knives and forks, sir. Stranger: then give me a spoon. Boy: We hain’t got no spoons neither. Stranger: Well, how do you do? Boy: Tolerable, thank you; how do you do, sir? The stranger, finding such poor accommodations, and thinking his condition could be bettered by leaving, soon departed, and at last succeeded in finding a tavern, with better fare. He has never had the courage to visit Arkansas since! 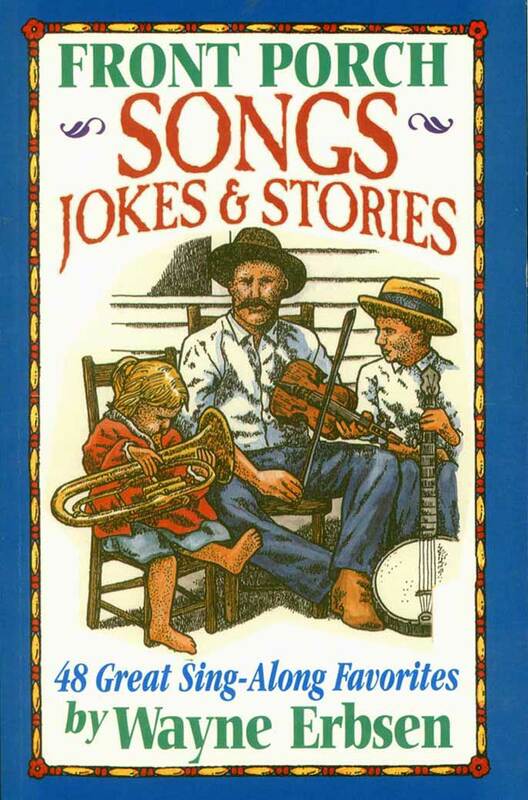 Editor’s Note: For more information about this and other old-time songs, check out my book, Front Porch Songs, Jokes & Stories (available from Native Ground Books & Music). 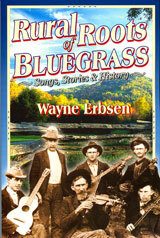 Another of my books with tons of information about old-time and traditional bluegrass songs is my Rural Roots of Bluegrass.